Lack of internet leads to more quality time with horses? No internet at home…take the work on the road! Our recent move to a very rural area came with one small hitch…no high speed internet connection at home. It was bumpy at first. I made mistakes. My iPhoto tried to back up to the iCloud and ate up almost a third of my monthly allowance in one evening. Oops. Then creativity was needed. Where can I upload Youtube videos from? 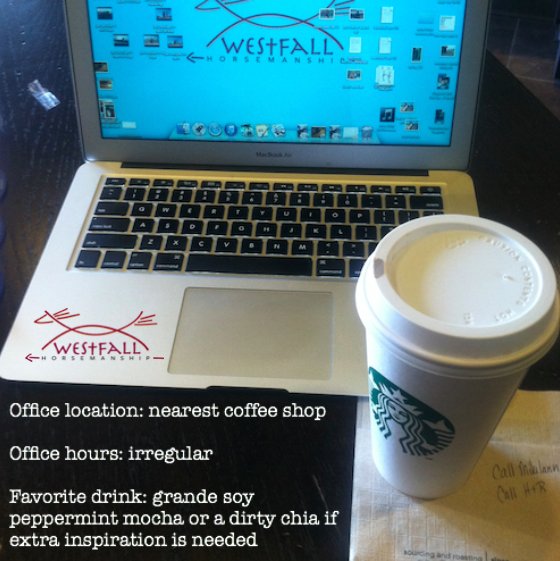 Turns out the library and coffee shops are both great options…but they are also twenty to forty minutes away. I have worked in stranger places before though. 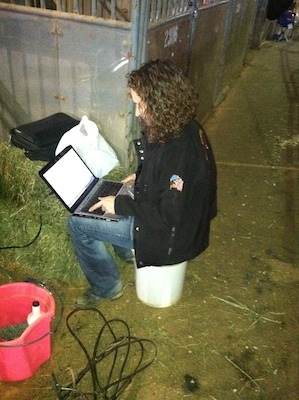 I have blogged on airplanes, while riding in the car and sitting on a bucket outside of a stall at a horse show. A coffee shop is a step up from some of those! During one of my internet session I read a blog that a friend had posted and my mom had shared. I can’t remember why the title grabbed me. Something about a pastor getting a divorce but really it was because two other people, my mom included, had recommended it. 1. Learn to balance the time you spend on your phone. 2. Make your phone an accessory rather than a priority. 3. Give yourself limitations as to when and where your phone can be used. 4. Control how you use your phone, and stop allowing your phone to control you. 5. 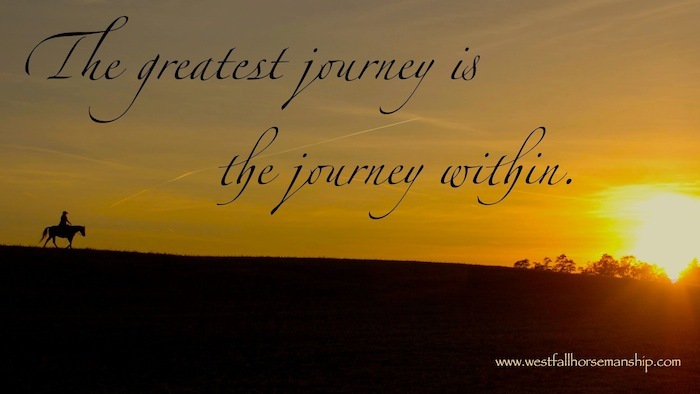 Try spending parts of your weekends unplugged, offline, and away from your mobile device. I love the internet. It is an amazing tool, not unlike other tools I use like bits and spurs…when they are appropriate. And the best part? When I walk away from the coffee shop I feel a deeper sense of freedom. The urge to check Facebook… just ‘one more time’ is gone. In its place is the knowledge that I have done what I could online for the day and now I am going to spend time with my family and my horses. Turns out setting limits benefits the horse trainer as well the horse. I am so sick of trying to visit with people who can’t get their face out of some electronic device I might scream soon! I turn my phone off when I go to bed and turn it back on when I remember to do so. If someone dies, then they better come to my house to tell me. I go at least a day a week or more a week and don’t miss anything life changing. I don’t have TV at the moment, but when I do I can count the hours I watch a week on one hand… Call me weird! Tell’em Stacy! Tracy- I went through an ‘addiction’ phase but have ‘recovered’. I think the internet is an incredibly valuable tool but it is not everything. Balance, balance, balance. Our ‘blackout’ summer was amazing. Within two weeks everyone was reading books like crazy! Kids included. That is an amazing side-effect. I live in a rural area as well but without my internet, I wouldn’t have such a great tool to educate myself about my horses and I would miss the great resources on horse care. As a blacksmith and farrier, I work hard at staying current in my own training. I find access to the internet to be important to my ongoing learning. The key is to work the horses during daylight hours and work my brain in the evening. There are so many resources online that I would feel like I wasn’t giving my horses my best if I didn’t continue my horseucation regularly. Vets are required to complete continuing education, I have my own continuing education requirements. In most places in this country, there are satellite systems that give you high speed internet. I applaud your efforts to spend more time with your horses but the internet is a great resource that shouldn’t be dismissed to quickly. After all, how would I follow your blog without it? Very cool post and I can relate! I don’t have a smart phone/iphone just for that reason because when I’m outside taking care of the horses & barn I can so plug in to them and leave the internet stuff for my time in the house when I don’t need to be back outside working. (I have a very cheap old slider phone that stays in my pocket while I’m at the barn working because I do believe having a phone on you is a smart thing to do when you are by yourself working around animals). this is why i LOVE working with horses, it’s just you, and your horse. No phone. Oh, how the most profound statement on the bottom seems to be over looked. Thanks Stacy for this lovely reminder of what life is all about. Our 14 yr old daughter lost her electronics privileges for a day and she had a great day of productive room cleaning and horseback riding. She was like, “Wow, it was nice not being able to watch tv today!” I was like, “Yeah, there’s a real life that is really interesting to live, huh? !” She totally agreed and suggested we get rid of our cable. LOL. Anna- Sounds like my house, sort of. A few years ago I declared an electronic ‘blackout’ for the summer! No TV, no gameboys, no game systems, etc. When the summer ended..the TV never came back! We did eventually get Netflix but never did participate in the digital antenna upgrade, etc.